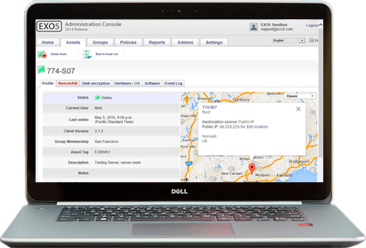 Protect corporate mobile devices and address BYOD with ease. 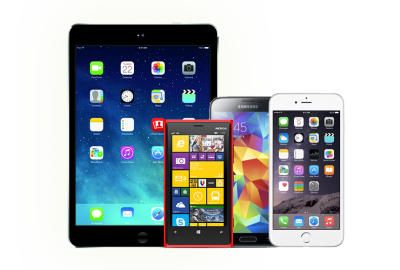 EXO5 supports all popular smartphones and tablets running Android and iOS at no additional cost. Compromised devices can be locked with a passcode or remotely wiped back to their factory state, preventing sensitive data from getting into the wrong hands. Administrators can set a curfew for specific assets. If an asset fails to connect to a network for a specified amount of time, it will autonomously execute preprogrammed RemoteKill actions, protecting assets even if they never connect to the internet. Collect hardware and software inventory in real-time and extend your data with custom fields. Administrators can require devices to use a lock screen code, with a system-generated or user-provided PIN.